After several years of research and preparation, Drs. Andrés Moreira (P. Univ. Católica, Chile) and Axel Borsdorf (Univ. 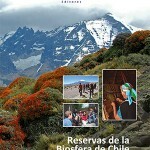 of Innsbruck, Austria) have published an edited volume, entitled Chilean Biosphere Reserves – Laboratories for Sustainability, which includes conceptual and practical analyses of how to compatibilize human well-being and environmental conservation and provides descriptive case studies for the 10 biosphere reserves found in Chile. 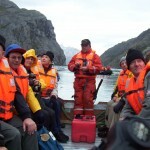 Dr. Christopher Anderson was invited to contribute the chapter on Cape Horn. So, what do the Grand Canyon and Patagonia have in common? 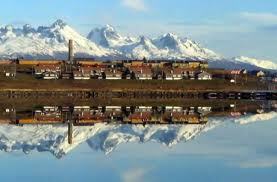 Well, they are both places whose names evoke iconic imagery of some of the world’s most amazing landscapes. 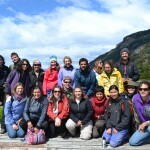 Now, they are also the sites of a binational project funded by the U.S. National Science Foundation entitled Patagonia Research Experiences for Students in Sustainability (PRESS): Understanding Social-Ecological Drivers & Consequences of Global Change. 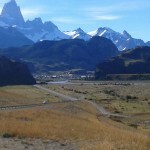 This project will fund up to 8 students per year from Northern Arizona University to conduct research with mentors based at the Austral Center for Scientific Research, the Argentine National Parks Association, the National University of Southern Patagonia and the National University of Tierra del Fuego to study i) climate and land use change, ii) invasive species and iii) tourism/development in protected areas. For more information see: http://nau.edu/CIE/Global-Science-Engineering/Destinations/PRESS/. OSARA is proud to coordinate this new US-Patagonia link. 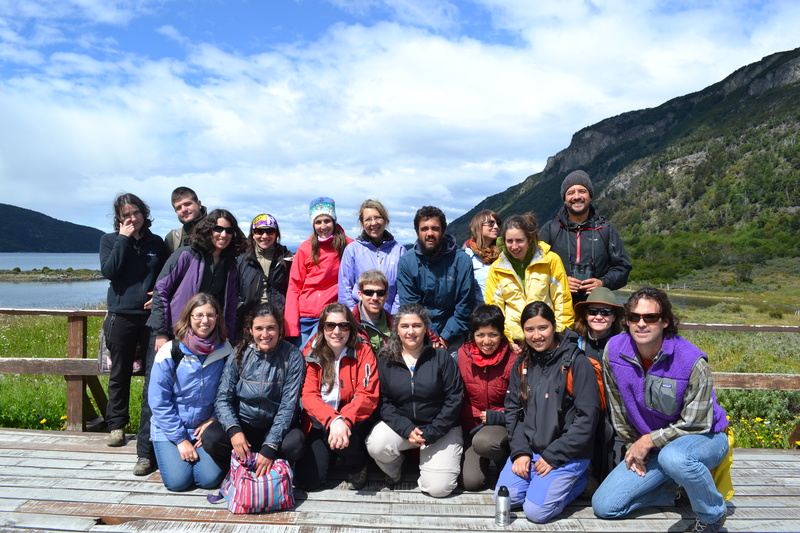 Between 9-14 December 2013, 19 student participants came together in the Austral Center for Scientific Research (CADIC) to participate in a course organized by the National University of Tierra del Fuego in conjunction with the Department of Forest Resources and Environmental Conservation at Virginia Tech. 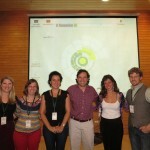 The course, entitled “Integrating Human and Natural Dimensions to better Study and Conserve Socio–Ecological Systems,” brought together professors from the U.S. and Argentina and students from Argentina, Chile, U.S. and Columbia to explore what and how to incorporate humans not only into our studies of the world, but also the very way we conceive nature and the “human-nature” relationship. The objective of this panel was to analyze how the study and management of socio-ecological topics can generate a greater understanding and favor the search for solutions at the local/regional level. Through presentations, discussions and associated posters, this symposium seeks to achieve a revision and analysis of the conceptual and methodological advances that are necessary to achieve a true and effective integration between natural and social sciences and the humanities. From this symposium, we hope to generate proposals that contribute to the projection of socio-ecology in Chile and Argentina as well as a Latin American and global scale. 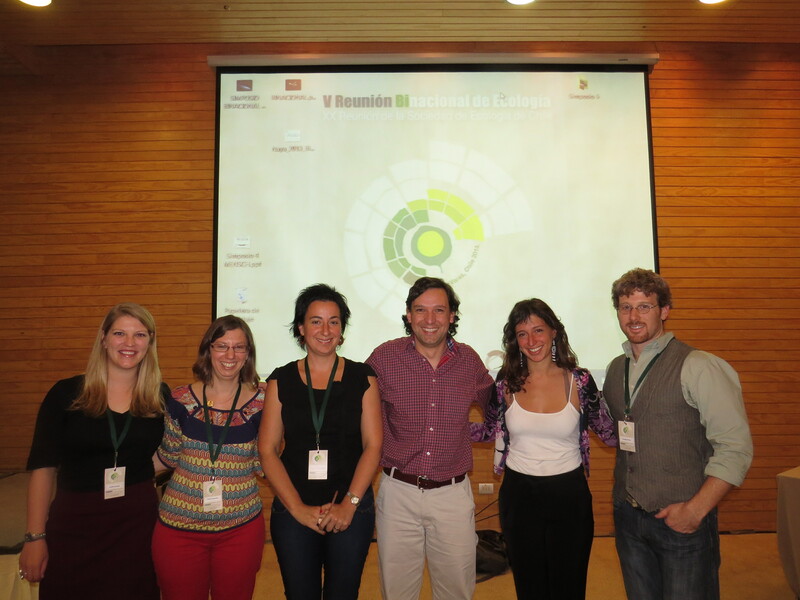 A manuscript for the Debates section of Ecologia Austral is currently in preparation by the symposium participants. 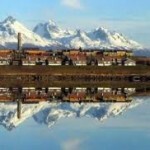 W ith more than 30 years of history, the Austral Center for Scientific Research (CADIC for its initials in Spanish) is the major research center in the Tierra del Fuego Archipelago and indeed for southern Patagonia’s sub-Antarctic ecoregion. 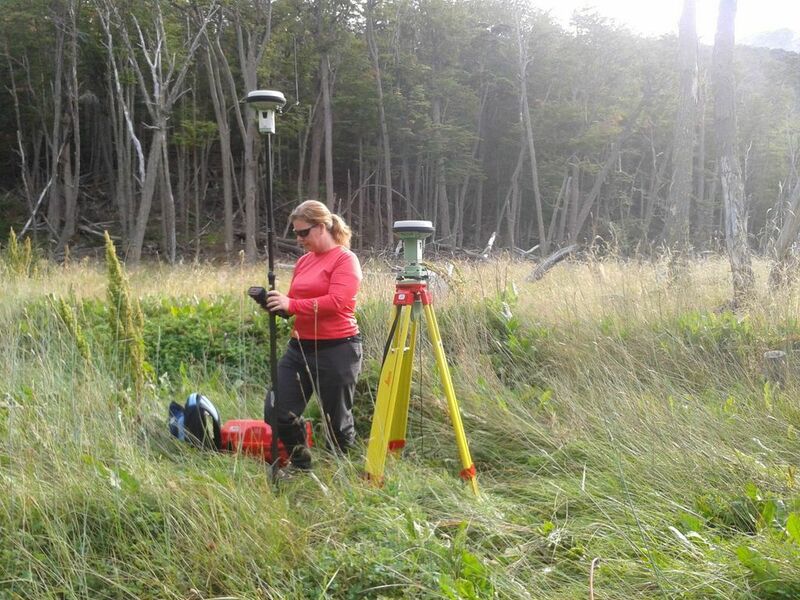 Hosting more than 100 scientists, technicians, students and support staff, CADIC works in a diverse array of areas, ranging from forestry, geology, archaeology, international relations, outreach, ecology and horticulture. Now, with an investment of nearly $2 million USD, the research institute has nearly doubled its space. The inaugural ceremony was presided over by President Cristina Fernandez by videoconference and the physical presence of Provincial Governor Fabiana Rios, demonstrating the highest political support for research in Tierra del Fuego, but also was attended by local scientists and citizens of Tierra del Fuego. For more information: CONICET website. 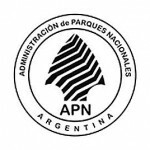 The Argentine National Parks Service organized a workshop from 2-4 May in Calafate, Santa Cruz Province to advance a national strategy for invasive species. Organizers from the National Conservation Office lead participants from throughout the country’s regional scientific offices in progressing the formation of a national agenda that will complement similar efforts being advanced by the National Secretary of Environment and Sustainable Development. 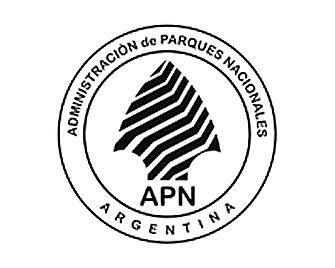 The event permitted authorities from diverse parts of Argentina to come together and recognize common threats and plan methodologies that will allow them to more effectively deal with the problem of introduced and invasive flora and fauna. Increasingly science funding agencies around the world are recognizing the need to link academic research and private and public sectors. Chile’s national science and technology commission (CONICYT) recently created a program to encourage precisely that type of linkage. One of the selected projects was presented by Dr. Silvia Murcia and Ernesto Davis, previously the beneficiary of an OSARA scholarship to conduct his masters. 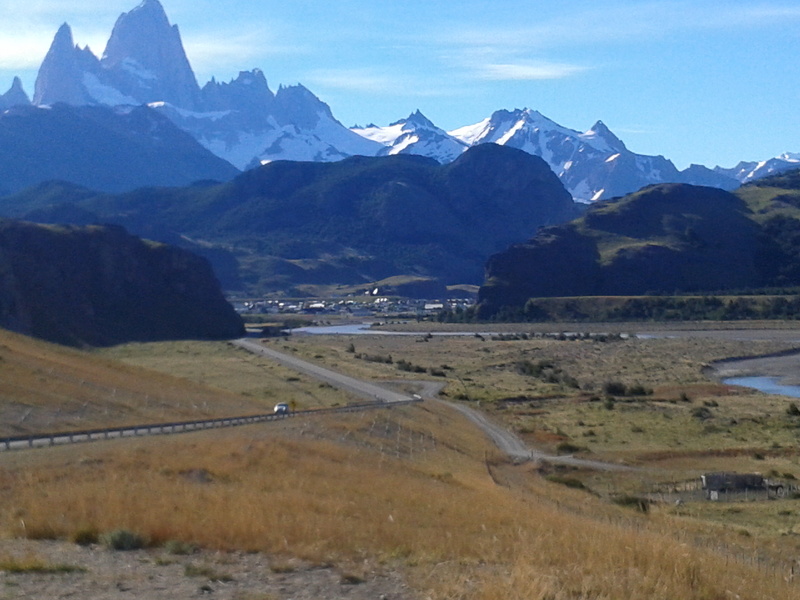 Their proposal, entitled Scientific-Technological Transfer for the Training of the Tourism Sector in the Magallanes and Chilean Antarctic Region, includes the participation of COMAPA, one of the major tourism companies in southern Patagonia. Over the course of a year, this co-financing of CONICYT and COMAPA will allow a systematic training regime to be implemented for the company’s guides. 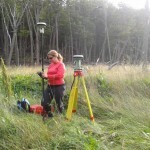 However, a novel aspect of the program will be not merely to teach the guides scientifically-related topics, but also to train them to become monitors within the national parks they visit to collect important (and hard to access) data and also as a “real-time” feedback mechanism for the company itself to evaluate and improve its practices, such as environmental impact but also the development of new narratives and content for the offerings provided to tourists. OSARA’s role in the project will be to advise the development of monitoring criteria and protocols and training for guides in the area of sustainable development and conservation. 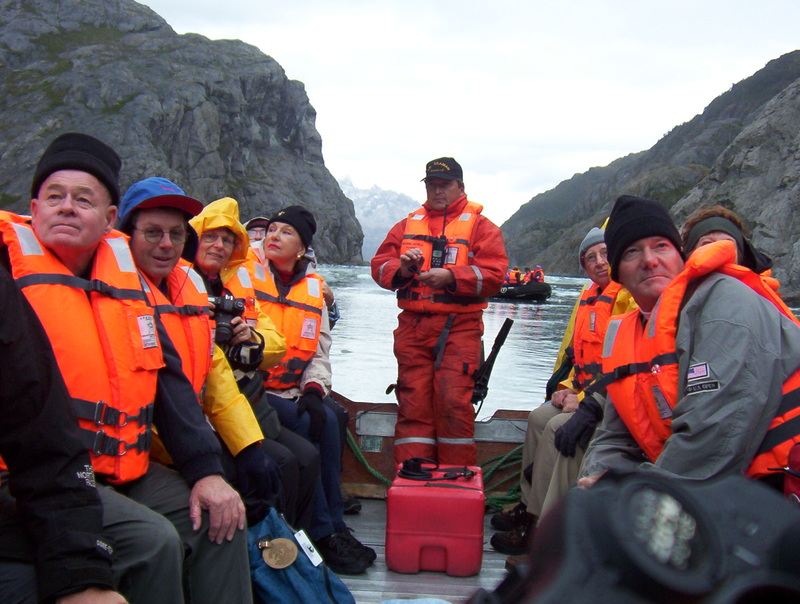 A group of five eco-hydrologists and riparian restoration specialists, led by Dr. Cherie Westbrook at the University of Saskathchewan, visited Tierra del Fuego from mid-February to mid-March to initiate a collaboration with the Austral Center for Scientific Research, the National University of Tierra del Fuego and the Argentine Administration of National Parks. 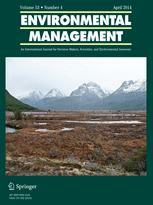 Their team based their work in Tierra del Fuego National Park and started a long-term study of the effects of beavers on the hydrology and geomorphology of Tierra del Fuego’s watersheds. Ultimately, these results will be crucial to understand how and if riparian ecosystems can be restored upon beaver removal. An associated project, led by Dr. Colin Whitfield, studied the effects of beavers on carbon dynamics, specifically emission of methane. 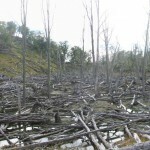 These results too will prove crucial in filling gaps in our current knowledge and understanding about the impacts of beaver invasion in southern Patagonia, particularly as they relate to carbon storage and sequestration. 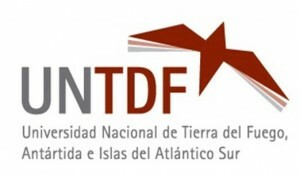 As part of the Argentine Ministry of Education’s efforts to increase networking capacity of its universities, the National University of Tierra del Fuego (UNTDF) recently was awarded a project to lead the conformation of a network of “archipelagic” universities that include the University of the West Indies with various campuses throughout the Caribbean and the Universidad de La Laguna in Tenerife, Canary Islands, Spain. The proposal includes plans to work over the coming year to define the areas between these universities where collaborative projects can be developed in the areas of student exchange, territorial development, and environmental management/conservation with a specific emphasis on how each of these axes interface with the particular condition of being found in an archipelagic setting. At the northern tip of Glaciers National Park in Argentine Patagonia, the small town of El Chalten is situated in an amazing and iconic landscape. However, in spite of being flanked by the Fitzroy Mountains and just over these incredible Andean peaks the icy expanse of the Southern Icefields, El Chalten is not removed from global ecological programs. In the past few years, residents and park rangers have reported sightings of the introduced invasive species – the American mink (Neovison vison). For this reason, the Argentine National Parks Administration’s Southern Patagonia Coordination Office has initiated a citizen science monitoring program to involve the local community in the detection of this species, to help managers determine quick and appropriate action. Managers, park rangers and scientists have created an education and involvement campaign that will last until February to create greater consciousness of the issue and also establish formal mechanisms for citizens to report their findings. Posted in General, In the News!